Daiken Nelson has been looking for space in West Harlem and Morningside Heights since January. He hopes to open a free work development program in the neighborhood. HARLEM — A Buddhist priest wants to teach the homeless, unemployed, veterans and former convicts how to work in a restaurant. The Mandala Kitchen program would help people in Harlem start careers in the food industry by giving them skills to not only work in a kitchen, but run one as well. “In addition to learning things like knife skills and how to handle food, participants would learn sanitation, food protection and more advanced food service skills like managing a budget and inventory,” said Daiken Nelson, a priest who is looking for a venue for the kitchen. Those who complete the 10-week program would be eligible to take the city's Food Handler's Certificate and Food Protection Certification exams. After establishing the program, Nelson hopes to open what would be Manhattan’s first pay-what-you-will cafe where people will be asked to pay suggested donations for each item. Nelson has recruited a teacher, students and some funding for the program. Currently the only thing missing is the space. 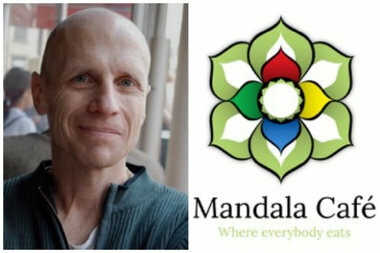 Since January, he has stopped by churches, community centers, nonprofits and restaurants but has been unable to find a home for the Mandala Cafe. “The only thing we need is a space with a kitchen, like a church basement, something with more space than the kitchen in my apartment,” he said. Before becoming a Buddhist priest, Nelson worked in restaurants and received a graduate degree in social work. He sees the working program as the perfect mix of his background. Nelson, who lives in West Harlem, realized there’s a need for something like this after seeing people living in the streets. He wants to see people at progressive institutions in the neighborhood like City College and Columbia University get behind a business that gives back to the neighborhood. “Instead of going to Chipotle or McDonalds or Starbucks, they can go a place that helps people,” he said.